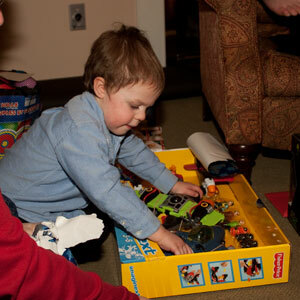 This was the first time that Norton actually opened presents. He was mad at me at first, but once he realized that there were toys to be found, he got much more interested in tearing off the paper. 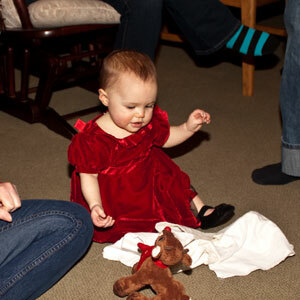 Eudora in her pretty red dress. Looks like a nice Christmas morning! So cute! Looks like a wonderful Christmas. Niko has a My Pal Scout and LOVES him, he always skips to his favourite songs. 🙂 Love your blog!